ARG Europe has a long history in the industry. We are constantly improving our service and evolving to meet new legislation and knowledge, to bring our clients the best solutions to meet their needs. 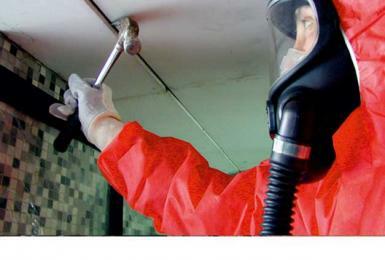 Asbestos removal is a very specialist field. ARG Europe is among the leaders in this industry. The Company was one of the first asbestos companies to be licensed by the Health and Safety Executive in 1983. All work is carefully planned and executed in collaboration with the client, to ensure disruption and cost is kept to a minimum. All removal work undertaken is planned to adhere to the current UK Asbestos regulations/legislation and the HSE regulations and guidance for the removal of asbestos. All staff undertaking this work are fully trained and have full knowledge of their Health and Safety obligations, ensuring that no one is put at risk from their working activity. ARG has a first class reputation for working in partnership with its wide ranging client base, and is able to meet the demands and time constraints often required by the discovery of asbestos materials. ARG Europe are committed to providing only the very best service to our clients, and we are recognised for our ability to work within client's budget whilst still providing a top quality and safe service. There are no such things as problems, only opportunities to succeed.